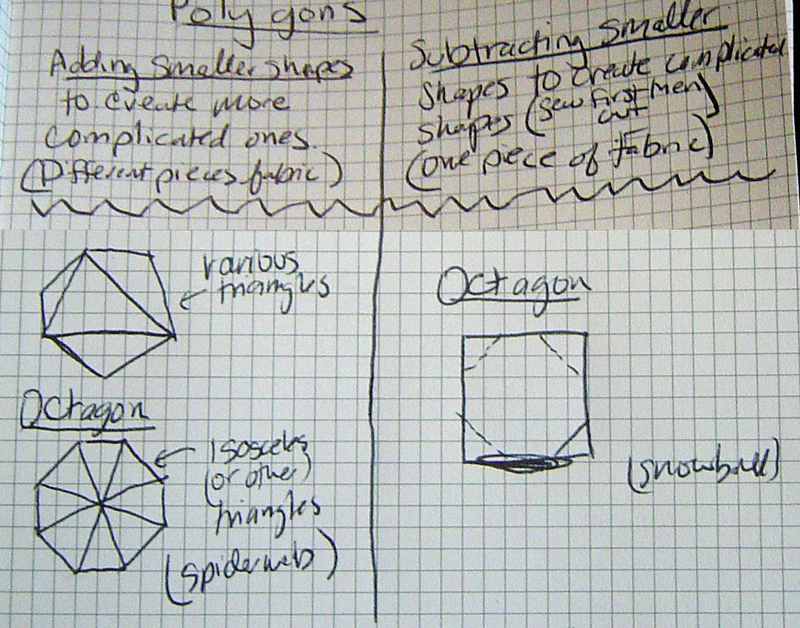 We’re back with more angles in quilting, and we’re tackling the 5, 6, & 8 sided figures – pentagons, hexagons, & octagons respectively. What more can be said about these blocks? 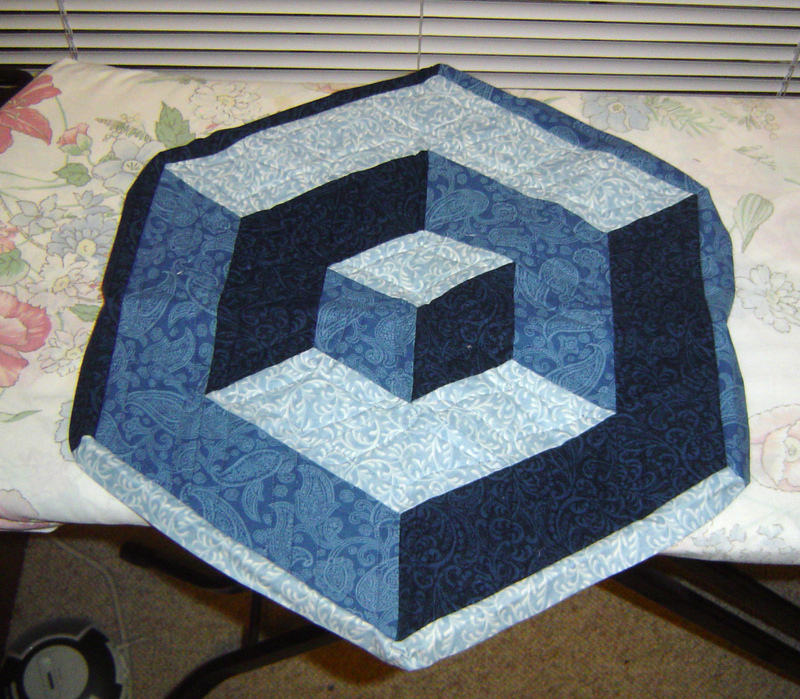 These blocks provide lots of challenges to piecing. These shapes are not typically pieced the same way as triangles and quadrilaterals. 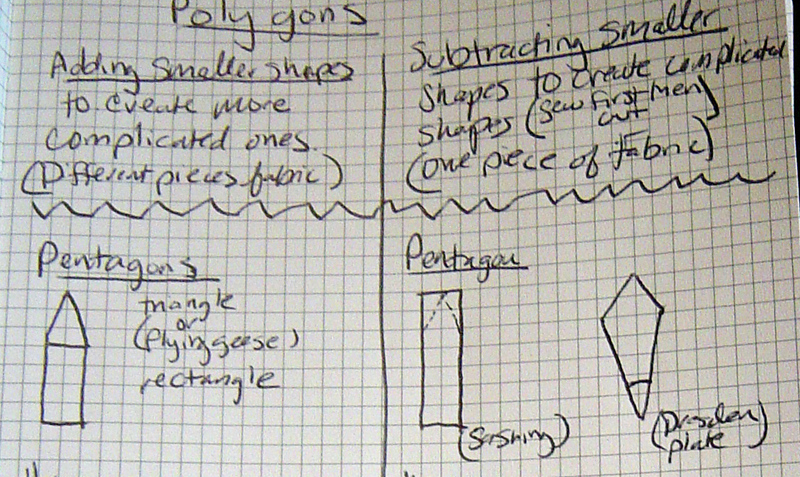 Account for a much smaller share of the quilting pie than triangles and quadrilaterals. 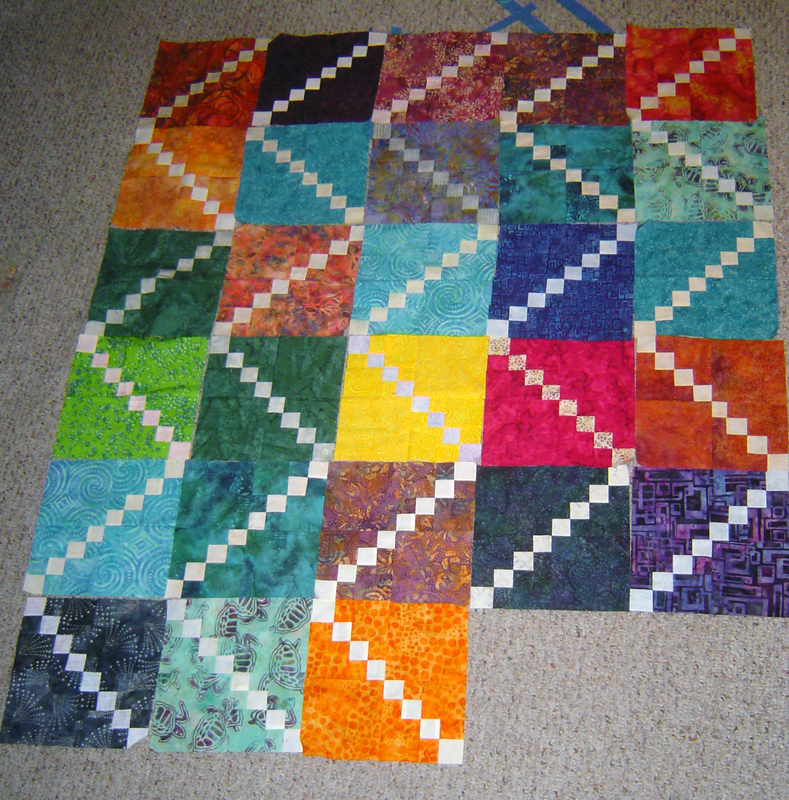 Techniques used for these block colors other than piecing. 5 sided star has 10 sides, 6 sided star has 12 sides, and you guessed it, 8 pointed block has 16 sides! Adding two blocks together or subtracting from the corners of a block. album / autograph block – square with opposite corners removed. 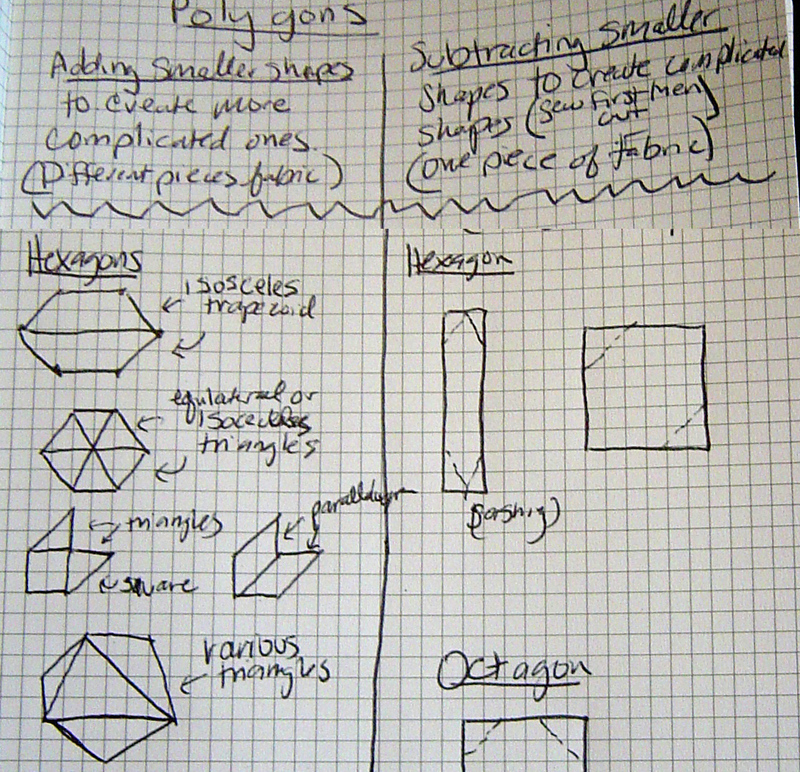 Hexagons & hexagon influenced shapes. And look at my Journey Steps on the floor. Doesn’t look big enough, does it? Also you need to go to SeamedUP and sign up to put in projects. And encourage me to do so too! Pentagon flowers (not 3D), look like GMFG, but more complicated – very pretty! Paperpieces.com where you find many different card stock weight precut polygons of all shapes. Don’t you wanna say this in text after this episode? Here’s hoping that I remember what this means later and that I didn’t inadvertently spell something that is commonly thought of as BAD. If so – sorry, blaming innocence here. 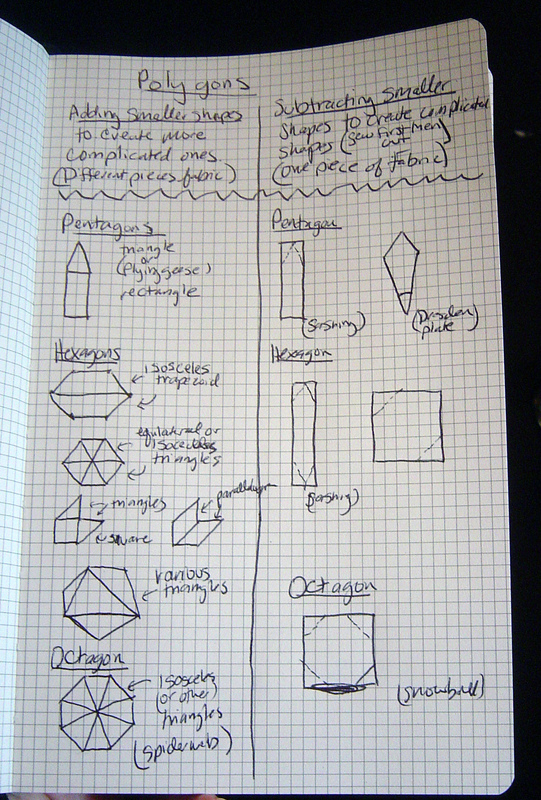 To see the first 2 podcast show notes in this series, go to Part A: Triangles, and Part B: Quadrilaterals. I don’t know how I missed this blog before, but here is a girl after my own heart. Since we can’t go more than 3.6 hours without hearing/reading the word ‘hexie’ in the quilting world lately (and this includes myself), I thought I’d share some hexie science love that I found on Becky’s Blabber blog. And what are these hexie’s doing? Becoming molecules! Well, hexies and penties … but penties are hard to say because they’re so uncommon. Good job Becky on your first hexie! 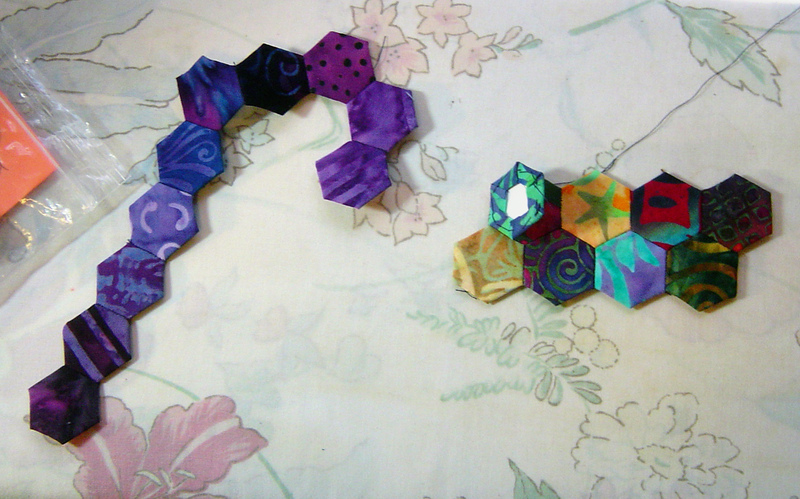 And this apparently has lead to a lot of hexagon / molecule love for Becky! And some more in progress blog love can be found here, and here.